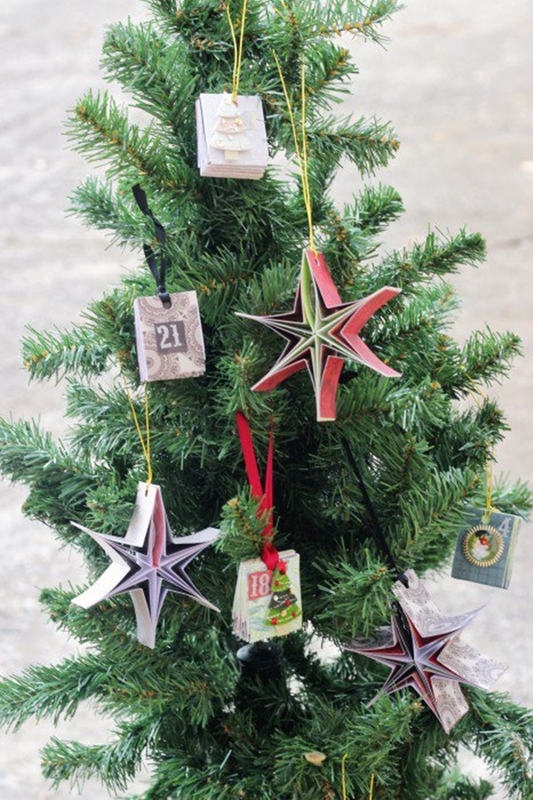 This DIY Paper Ornaments Advent Calendar by Sweet T Makes Three fascinates me. I can’t decide if it would be more fun for my girls to make the ornaments or to open them! 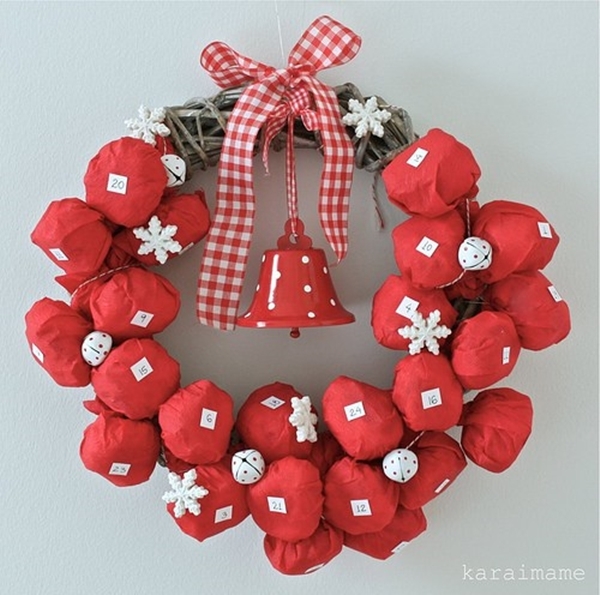 Hang these as a garland if you don’t have a tree yet. 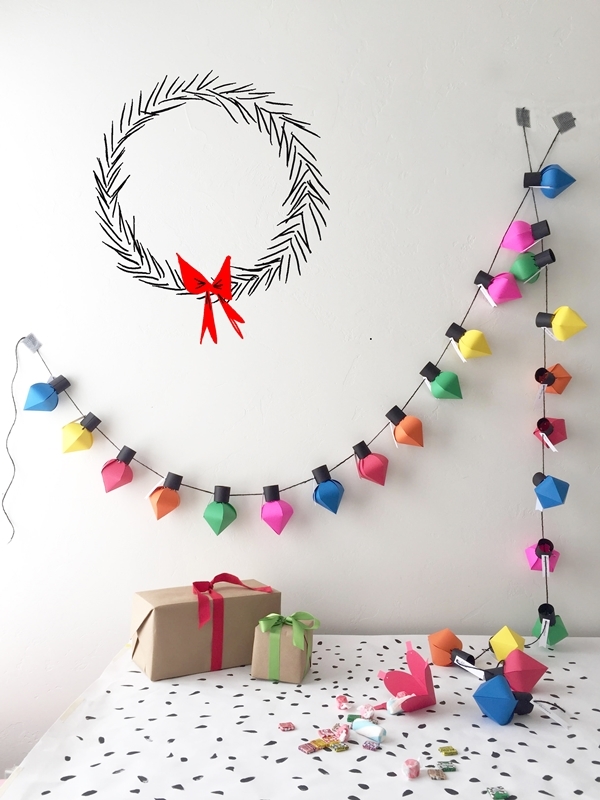 How cute is this DIY Christmas Bulb Advent Calendar by The House That Lars Built?! Even if you don’t make these bulbs as a calendar, you can make them to hang on your tree or just around the house. 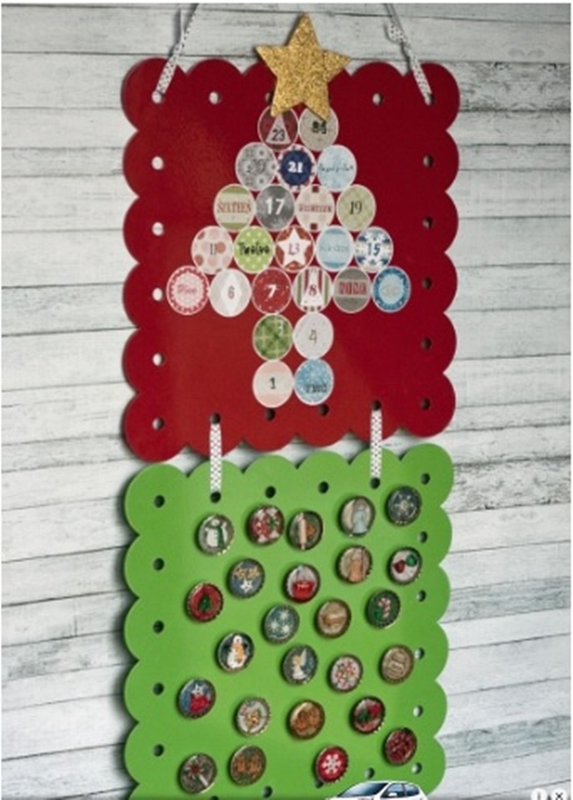 What I love about this Magnetic Bottle Cap Christmas Advent Calendar by Third Stop On The Right is that there are no gifts needed. It’s just a simple count down to Christmas. How can you go wrong? 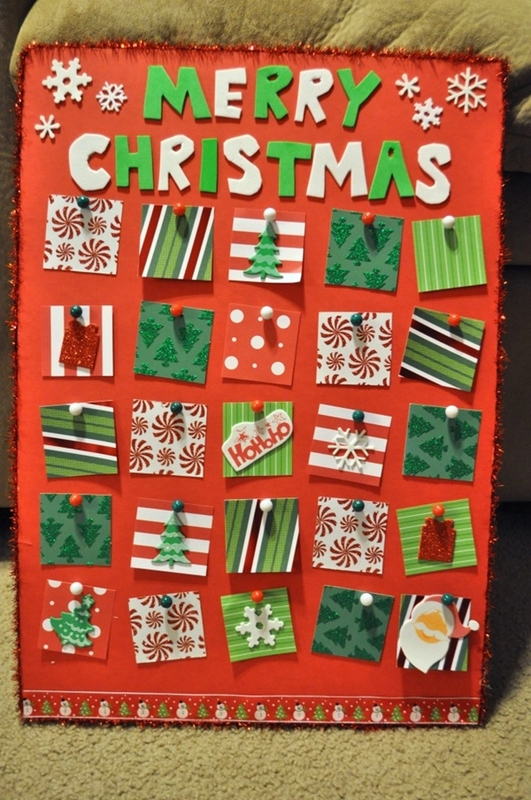 You don’t have to be super crafty to make this Paper Holiday Advent Calendar by Design Sponge. Plus, this calendar can include certificates for things to do, not just toys and food. 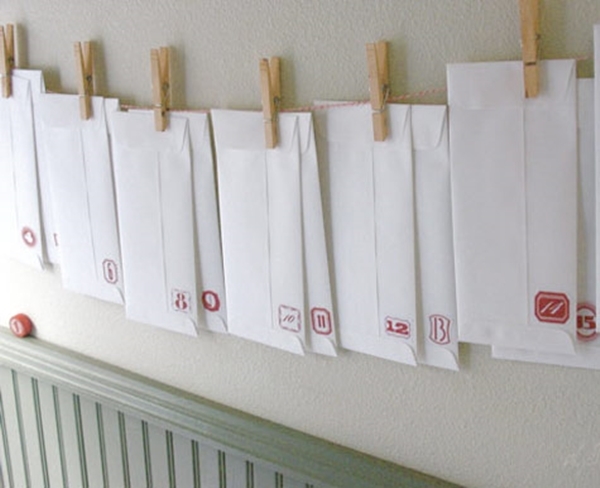 This simple Advent Calendar by Baby Dickey is full of ideas of things to do before Christmas. Just make sure you make time to actually DO everything the calendar says! 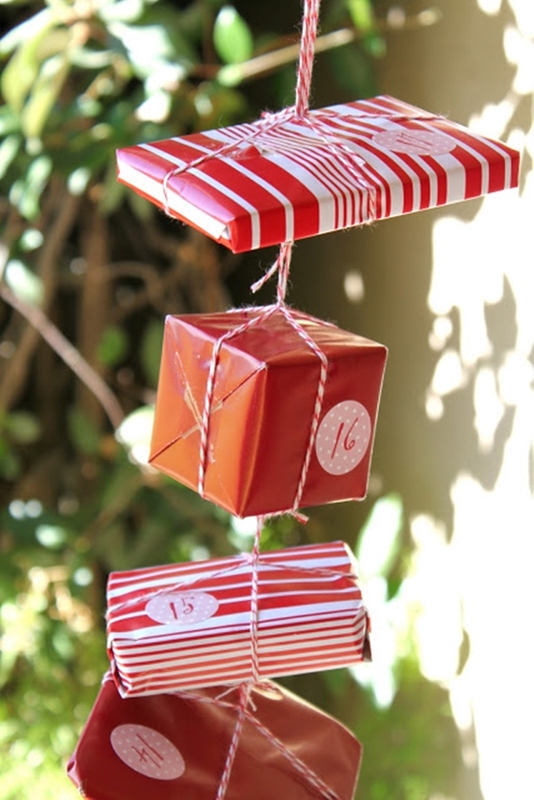 An advent calendar that doubles as an adorable wreath? Yes please! Acquiring Taste has this down pat. According to the directions, it isn’t as difficult to make as it looks. 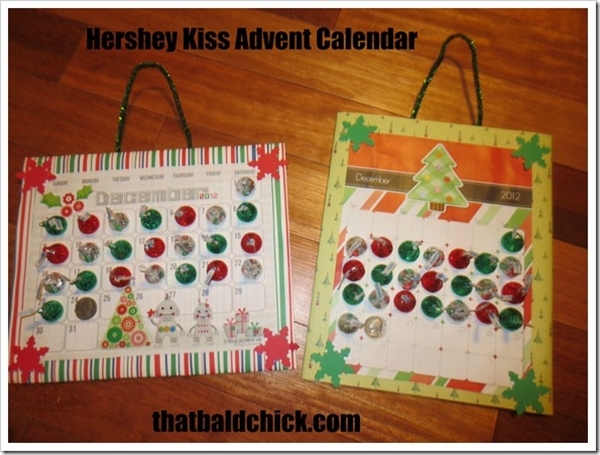 This Hershey Kiss Advent Calendar by That Bald Chick is perfect for the chocolate lover. Just make sure your kids know to only eat one piece per day. 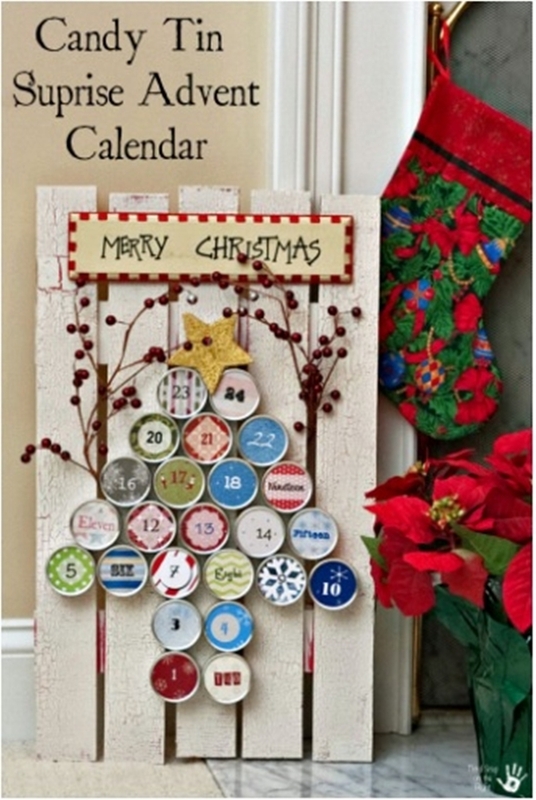 This Christmas Present Advent Calendar by Creation Corner is just adorable. It’s so simple yet looks so good. Use what ever color matches your Christmas decor. Another one by Third Stop On The Right…I love that she put a story in this DIY Candy Tin Surprise Advent Calendar. I’m not sure if I’m crafty enough to make this one but I will keep the story in mind! 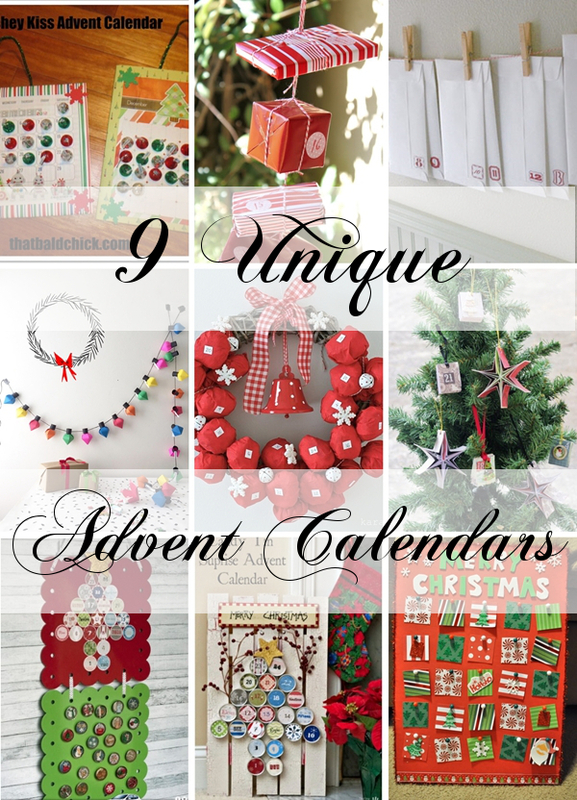 Have you done anything unique to count down to Christmas?